One of the reasons why the public increasingly mistrusts the media is that journalists are spending less time outside of their London offices, losing touch with what interests, inspires and bothers people outside the capital. 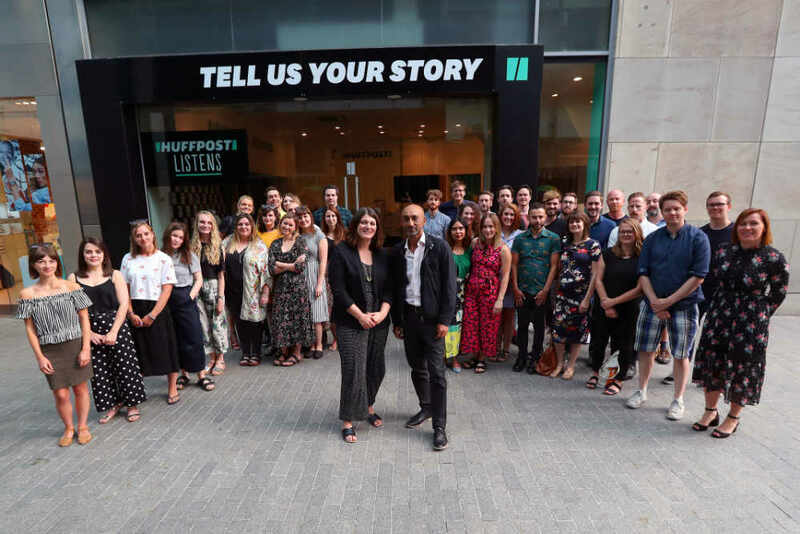 To see whether local reporting can bring the media and their audiences closer together, HuffPost made a bold move and transferred its entire newsroom of 45 reporters and editors to Birmingham as part of the ‘HuffPost Listens’ project. “We wanted to get outside the London bubble and show that, as a news organisation, we're open, accessible, and committed to reporting on the impact of politics and policy outside of Westminster,” explained Basia Cummings, news editor, HuffPost UK. 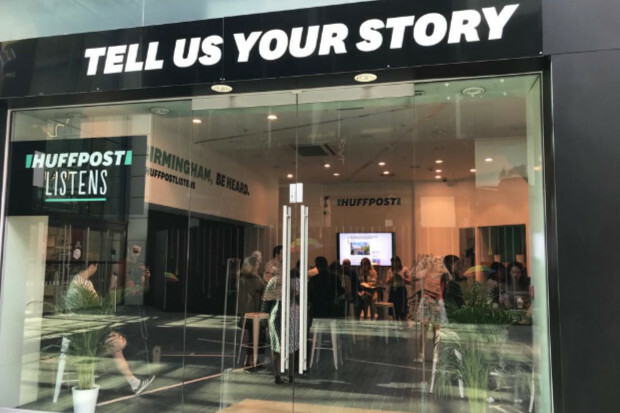 Many of those who stopped by the HuffPost newsroom in Birmingham told the journalists they feel increasingly ignored and voiceless. “By opening up a public-facing newsroom in the Bullring shopping centre, we wanted to be transparent about how the news is made and build trust among local audiences, but also show that as journalists we are listening and reflecting the lived realities of people across the UK, not just London or the south of England,” Cummings told Journalism.co.uk. One of the most surprising outcomes of this experiment, according to Vicky Frost, executive editor, Lifestyle, HuffPost UK, was discovering that people are generally excited about the news. “They were keen to find out how it is put together, they were curious about how we work. Far from general distrust, the hundreds of people we met wanted to work with us to shape the stories we tell. 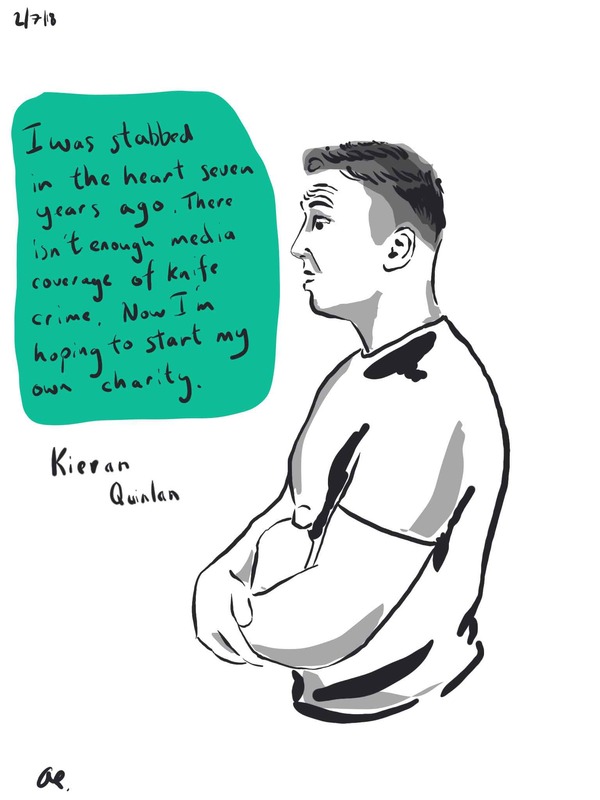 "It was a refreshing, energising reminder that prevailing narratives about media antagonism and suspicion can be undone by getting out there and speaking to people face-to-face. "Birmingham felt like a great choice because it's often so overlooked in national media coverage, despite being such a big and interesting city,” added Frost. The lifestyle team planned their coverage around four core areas: mental health, sustainable living, women, and Humankind, which is HuffPost's section dedicated to people doing good for others. 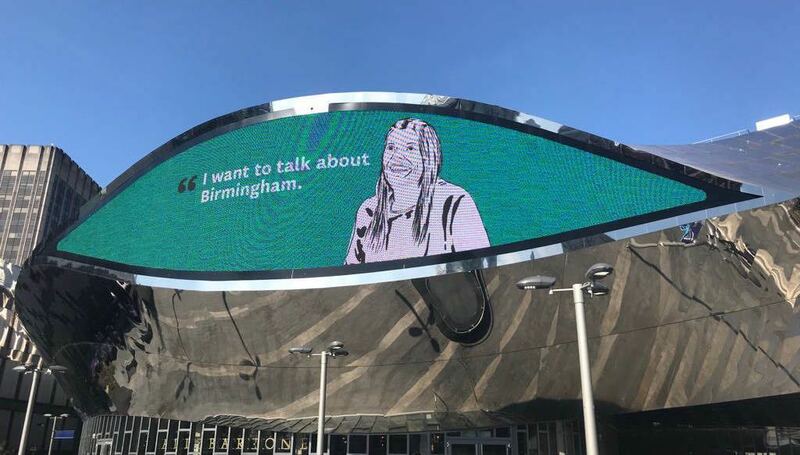 “We then added in a series of portraits of the city – from interviews with the food entrepreneurs serving up the city's tastiest bites, to an essay that captured what Birmingham gets up to on Saturday, where lots of residents kept diaries for us,” said Frost. HuffPost reporters also did something some journalists might find fairly uncomfortable: they held 'Listening Circles' throughout the week, where they invited people who had experience of or viewpoints on controversial subjects, such as housing, equality or parenting, to come and talk to each other about those things. “We didn't report what they said in those conversations,” explained Frost. “Instead, we learned huge amounts from listening to what they had to say, and made some amazing contacts with people who we hope will continue to give us a sense check on stories when we need it, and share the talking points they really think are important. “The demands of digital journalism mean it's easy for journalists to get stuck behind their desks, reliant on social media rather than actual social interaction. "For us, this was about stripping journalism back to what matters most: talking to people about what is important to them, and listening properly to their stories,” she added. As a news editor used to being hunched over her desk all day, Cummings was sceptical about opening up the newsroom and unsure of how the public would interact with the journalists. But the way the newsroom was set up, with an open news desk and specific places for people to come and speak to the reporters, as well as video producers ready to up and leave to chase stories, they were able to accommodate the public and be reactive to the stories people were telling. “We had an excellent week in terms of traffic to the site because we continued to cover breaking news and politics, but our original reporting was richer thanks to our open-door policy,” Cummings said. “The news team produced a brilliant splash that came directly from someone who dropped by to talk to us, and told us of her experience being turned away from a temp agency because they wouldn't allow anyone with dreadlocks or braids to work for them. “I also enjoyed the Birmingham: a city divided? film from our new Midlands correspondent Amardeep Bassey on diversity and segregation in Birmingham that is so incredibly rich with voices from the city. “When some new readers popped into the newsroom, they watched the video and their response – 'You guys get it' – was everything we could have hoped for. Both pieces give a voice to people who might ordinarily not be heard, which is what HuffPost and this project in particular is all about,” said Cummings. Big projects require big logistic arrangements and HuffPost took the Listens adventure seriously. The London office was closed so that each and every one of the journalists could participate — and this dedication to local reporting paid off. “In total, we published 82 articles and videos over the week as part of the project, and we increased our West Midlands audience by 110 per cent on average over the weekend,” Cummings concluded.